Purva Gupta is the Founder of Lily. Lily helps women discover & buy clothes according to their emotions and perceptions about their own body. Purva's team has built the industry's first algorithm that uses advanced machine learning to match emotions, preferences, and perceptions to clothes in real time- both in online and offline stores. Purva is an alum of the Yale Entrepreneurial Institute, UNICEF, The Founder Institute, and Khosla Impact Fund, and has an MBA from the Indian School of Business. Purva: For me, it is the most powerful medium to create the change I want to see in the world. It is indeed very hard to bring change in the face of resistance, but possible. The early stages of a startup are like launching a rocket against the force of gravity. The force of gravity is like every single imaginable & unimaginable challenge that comes in front of the founders everyday as they are trying to get the rocket off the ground. Nonetheless the fuel here is the founder's unwavering belief in their vision, consistent hard work and a healthy disregard for impossible. Sometimes I agree with Elon Musk that entrepreneurship is like eating glass. And I would recommend it to anyone who has a taste for... eating glass! Purva: Creating a product that speaks to the inner thoughts of a woman about her body by creating an emotional connection. I started my career working with one of the world's best advertising agencies- Saatchi & Saatchi where I learnt that most loved brands connect emotionally with the user. It's how they make the user feel that matters. When I moved to New York, the desire to connect emotionally with users was breeding in me for a few years now. I was very observant of my own problems and thoughts. With a few months of shopping in the US, I started paying attention to my inner thoughts while shopping in stores- I was always looking for clothes that would make me look thinner or make me feel that I am looking thinner, because that's the social norm. I hated walking out of store without finding anything that fit my criteria. My strong itch persuaded me to speak to a 1000+ women about their shopping experiences only to come to the behavioral insight that- "Women are always trying to find clothes that helps them accentuate the parts of their body they like and de-emphasize the ones they don't like." That was my Aha! moment that led me to create Lily, knowing that no shopping experience today cares about what goes on in a woman's mind about her own body/needs when she is in a physical store or online buying clothes. I am very proud of the team building Lily- a founding team of women with backgrounds in machine learning/AI, behavioral science, marketing, image consulting and retail with working experiences at Facebook, Saatchi & Saatchi, Macy's, Instagram and Khosla Impact Fund and education from Stanford, MIT, CMU, ISB and Yale. And the team is dreaming big- to be the emotional intelligence in the world of commerce. Purva: I feel everything in my life is going according to a script and the challenges are because there is a demand in the script for the protagonist to emerge as a gladiator overcoming those challenges. From an acute problem of stammering as a teenager to going against my family to marry the man I love and then pursuing a long distance relationship with him after marriage so I could chase my startup dream. I believe that every challenge is helping me learn something new about myself and making me more fearless. That said, I wish I had realized my love for technology as an enabler earlier when I was a teenager- may be I would have started building companies earlier. At 27, I feel I am running out of time. 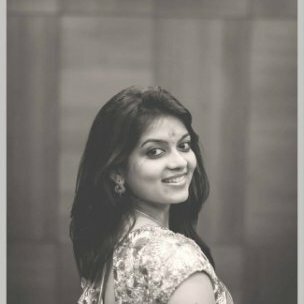 Purva: Recently, I had to give up (almost) everything I fought very hard for- a prestigious job, my secure US visa, financial security & staying with my husband under the same roof. What for? To further jump off the cliff and build a plane on my way down. I fought with my family to marry the guy I love. I married him. Then while still in India, I had to find myself a job in the US. A job that could help me create a ding before a dent in the world, and by the way, I wasn't even authorized to work in the US at the time. I found a job with UNICEF'S Innovation team creating a Venture capital inspired fund to back literally life saving technology products and I got a diplomatic visa to work in the US. My husband was attending his MBA program at Yale and I had just finished my MBA. Lets just say, we had enough in student loans, but my tax free salary from an international development agency was a good start. In the midst of all this- I found my calling to build Lily in the face of uncertainty. I had no money, I gave up my diplomat visa hat came with my job, I moved to California to join an incubator and most importantly I entered into a long distance relationship with my husband a year into our marriage. Then I literally asked myself- what would I do if I were not afraid? Would I go to California and build my company? A first time, non-technical, solo, female founder with lack of experience in retail, I was intimidated in the beginning, but passion won over fear and I am so glad I went against the flow. Purva: Lily is all about how she makes the users feel about themselves and about the products they would like to buy from their favorite stores- online & offline. Our proprietary algorithm matches women with products in stores according to their emotional needs. On the mobile app, Lily asks the users simple questions and creates their unique profile. On the other hand, Lily embellishes product inventory from every brand or retailer with the similar attributes that create a user's unique profile. Hence the matching of products to people happens in real-time. Lily uses a personalized, hybrid chat as the fundamental user experience. Purva: When I describe Lily to women and they tell me they can't wait to use it. You always want to make something people want! More than 80% women in the US are unhappy with their appearance, still current shopping experiences ignore what's going on in a woman's mind about her body which heavily influences the buying decision. Its is sad but true, as studies show, Women on an average get 13 negative thoughts about their body every single day. More than 85% apparel is bought in physical stores, still users are frustrated, confused and using trial & error to discover clothes in stores. And I want to create the emotional intelligence that can solve these problems. It fascinates me that a real real behavioral insight has led me to create a product that solves these hard problems mentioned above. One of my measures of success is how solving this problem has become the personal mission of my life. I want to lead this movement of empowerment for women, leaving behind the self-doubt in appearance to a world of confidence, happiness and unlimited possibilities. Purva: Until you don't ask, the answer is certainly no! So don't bother yourself with doubts, self-doubts or the mother of all questions, why will they listen to me? Asking hard questions is okay. Getting attracted to hard problems is even better. As I am realizing my own style now as a founder, I think I do not get discouraged by picking up hard problems. Almost every investor in the last few months has told me that I have picked up a very hard problem, but someone has to solve hard problems too, no? Follow Purva Gupta at @purvagupta10, check out the other interviews in Going Against the Flow series at http://www.huffingtonpost.com/charu-sharma/ and join this movement to empower 1 million female entrepreneurs on goagainsttheflow.com.